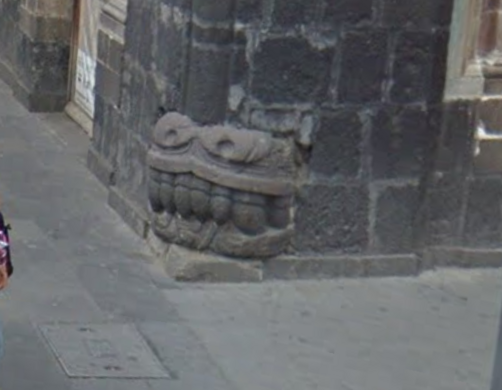 As you walk through the historic center of Mexico City and reach the corner between the streets of Pino Suárez and República del Salvador, take a glance downwards and you will encounter, to your amazement, the fanged jaws and forked tongue of a monstrous dragon-like serpent. An island filled with hundreds of hanging, decomposing, decapitated dolls. This fearsome basalt stone sculpture once graced the steps of a pyramid in the Aztec capital of Tenochtitlan. It formed the frontal piece of an immense serpentine creature that likely symbolized the Aztec serpent creator god of mankind, Quetzalcoatl. The sculpture has been a cornerstone of the building from the time of the Spanish conquest of Mexico up until the present day. It is believed that it was originally placed in this location by the Spanish conquistadors as a not-so-subtle message signifying the triumph and superiority of European architecture and civilization over the indigenous Aztec empire. For many years the building served as an opulent palace known as “El Palacio de los Condes de Santiago de Calimaya” for the descendants of the brutal conquistador, Hernán Cortés, who toppled the Aztec empire in 1521. 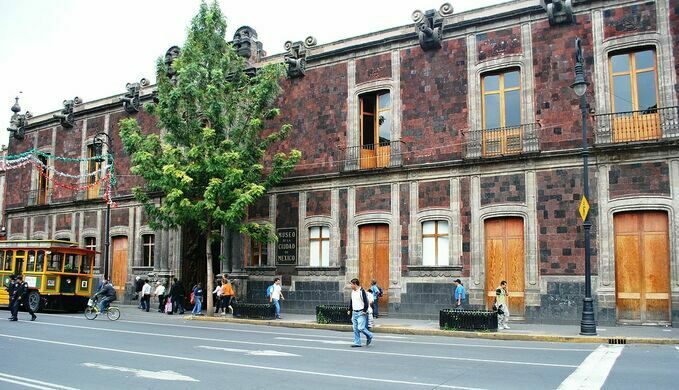 Over the centuries the building was occupied by a succession of aristocrats and then rented in the 19th century to wealthy merchants and their families before eventually becoming the Museum of the City of Mexico (Museo de la Ciudad de Mexico) in 1964. Throughout the centuries the only consistent resident of the building has been the stone serpent. In spite of the original intention of the Spanish to celebrate their colonization of the pre-Columbian empire of the Americas, the presence of this ancient serpentine sculpture in the beating heart of Mexico City seems instead to prove an ironic and fascinating truth: The Aztec history of the Mexican capital is always right under your feet. 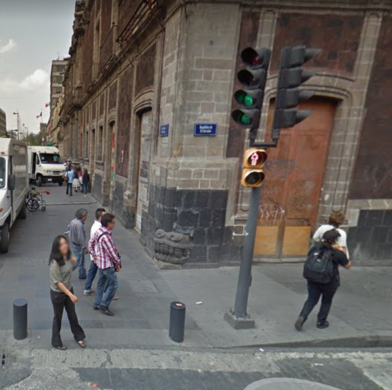 If walking from the nearest metro station, Zocalo, take José María Pino Suárez street, walk three blocks and turn left onto Republica de El Salvador, where the head of the Aztec serpent (la Cabeza del serpiente Azteca) can be found grinning savagely on the corner of the intersection of the two streets. The ruins of an ancient temple to the Aztec wind god discovered in the middle of a metro station. Where layer cakes tower above one’s head and there is never a shortage of icing. This 19th-century former train station’s unusual roof shape earned it a rather witchy name. An outstanding piece of retro Sci-Fi architecture built into a sacred mountain. This Canadian hunting lodge is a long way from home.